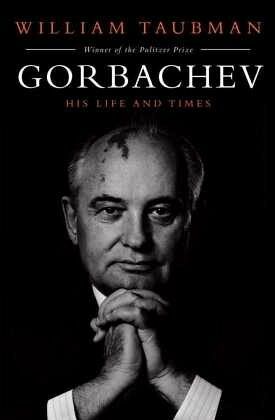 SHORTLISTED FOR THE PUSHKIN HOUSE BOOK PRIZE 2018 From the Pulitzer Prize-winning author of Khrushchev: The Man and his Era 'A phenomenally researched life of the man who did more than any other to change Europe and the world in the last half of the 20th century'. Jonathan Steele, The Guardian 'An engaging, poignant portrayal of one of the most significant of Russian leaders' Kirkus review ' ... deeply penetrating history and engrossing psychological study.' Robert Legvold, Foreign Affairs Magazine 'Impressive... full of fascinating detail' Peter Conradi, Sunday Times 'Comprehensive and immensely readable' The Economist 'Superb...an extraordinary story of one man and history in a tense wrestling match' The Washington Post This is the definitive biography on one of the most important and controversial figures of the 20th century. Drawing on interviews with Gorbachev himself, transcripts and documents from the Russian archives, and interviews with Kremlin aides and adversaries, as well as foreign leaders, Taubman's intensely personal portrait extends to Gorbachev's remarkable marriage to a woman he deeply loved, and to the family that they raised together. Nuanced and poignant, yet unsparing and honest, this sweeping account has all the amplitude of a great Russian novel. When Mikhail Gorbachev became its leader in March 1985, the USSR was still one of the world's two superpowers. By the end of his tenure six years later, the Communist system was dismantled, the cold war was over and, on 25th December 1991, the Soviet Union itself ceased to exist. While not solely responsible for this remarkable upheaval, he set decisive changes in motion. Assessments of Gorbachev could not be more polarised. In the West, he is regarded as a hero. In Russia, he is widely hated by those who blame him for the collapse of the USSR. Admirers marvel at this vision and courage. Detractors, including many of his Kremlin comrades, have accused him of everything from naivete to treason. William Taubman is Bertrand Snell Professor Emeritus of Political Science at Amherst College. His 2003 book, Khrushchev: The Man and his Era, won both the Pulitzer Prize for biography and the National Book Critics Circle Award for biography in 2004. Taubman has been the President of the American Association for the Advancement of Slavic Studies, and chairs the Advisory Committee of the Cold War International History Project at the Woodrow Wilson Center for Scholars in Washington.